Soft, Medium or Firm. What Mattress Feel Do You Prefer? Selecting a mattress is a big decision. This is what a person is going to rely on to get comfortable at night and get a good night’s rest. There are several different types of mattress and they will depend on personal preference. There are soft, medium, or firm mattresses. Which mattress fell do you prefer will depend on how you lay down at night and the amount of back support that is needed from the mattress. What is Firmness When Dealing with Mattresses? The firmness of the mattress is the feel that a person gets when they first lay down on it. Firmness and support from the mattress are two different things. When lying on the mattress the pushback against the body is the firmness. If there is little to no pushback the mattress can be considered to be very firm. As a person ages, their preference for the firmness of the mattress may change. Many mattresses are made to fit the needs of the average sleeper. Out of firmness scales ranging from one to ten many people select firmness between 5 and 7. This would be considered to be within the medium range. It will provide comfort to the body from different angles and is often able to handle body weight. If a person wants a more customized mattress feel rather than just universal comfort they can select from different firmness levels. Each person has their own feel and they like certain mattresses. 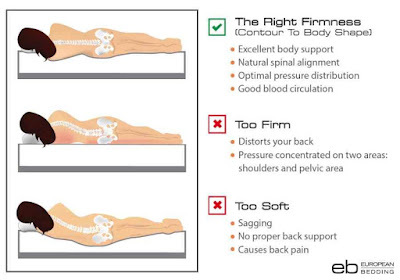 One the mattress firmness scale the soft mattress ranks within the 3 to 5 range out of 10. This mattress is known to hug the body and a person can sink right in. Many have described sleeping on a soft mattress similar to sleeping on a pillow top. The plush mattress is the softest mattress that a person can purchase. This type of mattress has extra padding and often has a pillow top for extra comfort. There are additional foam layers above the mattress coils to provide extra comfort. On the firmness scale, the medium mattress ranges from 6 to 7. This mattress type is considered to be the universal comfort. Most people have a mattress in this range. It provides the right type of support from the body within being too hard or too soft. These mattresses are often known as cushion mattresses. They offer some support but they are still comfortable to lie on. These mattresses are near the top of the firmness scale. They are designed for those that want to lay on top of the mattress and do not want the feeling of sinking into it. These mattresses do not have extra padding and the top is flat. 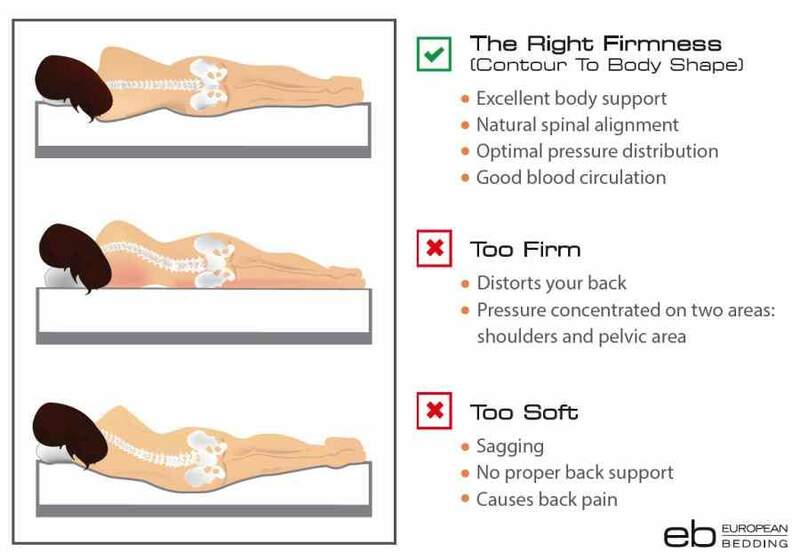 These mattresses are often recommended for people suffering from lower back pain. They are a little higher than the average mattress. For those with back pain they are easier to get in and out of. There is no sinking feeling so a person can get right up. Each gender tends to prefer a different type of mattress. Men and women have different pressure points and different areas where they need their weight supported. Male sleeper reported that they have slept better on a soft mattress. Women who tend to have more weight in their midsection reported that they sleep better on a firmer mattress. Too much sinking for the softness of the mattress left them with lower back pains in the morning. Women can also benefit from the medium mattresses. They tend to be more comfortable than the firm mattress and still provide plenty of support. Light sleepers will want to find a mattress that is softer and has additional layers on top. This will help decrease the pressure that is put on the body. People that are also slender can benefit from lighter mattresses as well. This will allow them to sleep comfortably. People that are heavy sleepers and can sleep through just about anything tend to do better with a medium mattress. They are able to sink into the mattress more than light sleepers and do not need as much support. They do not need a full body hug feeling from the mattress. There are some things that can help determine which mattress will be correct based on sleeping position. Those that sleep on their side usually like a soft mattress. Stomach sleepers prefer medium, back sleepers go from soft to medium. Heavier people may not like soft mattress because their body will sink into it and they will have trouble getting out in the morning which can lead to back pain. These different mattresses offer different comfort levels. 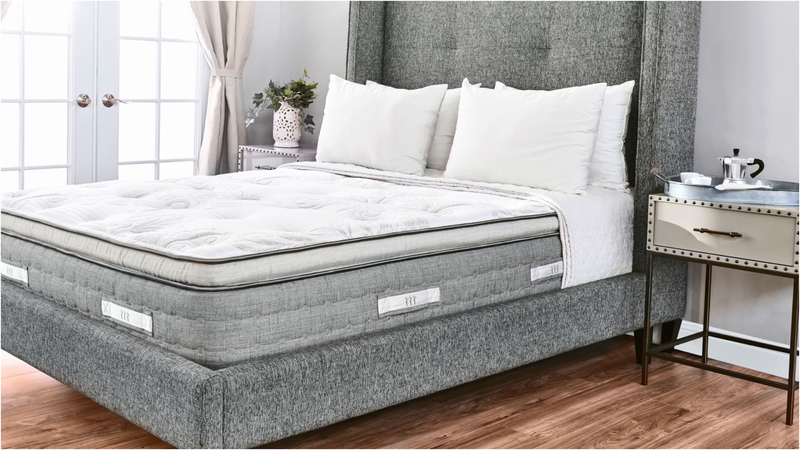 While sleeping patterns can help a person decide which mattress is best for them it does come down to how soft or how hard of a mattress they prefer to sleep on.